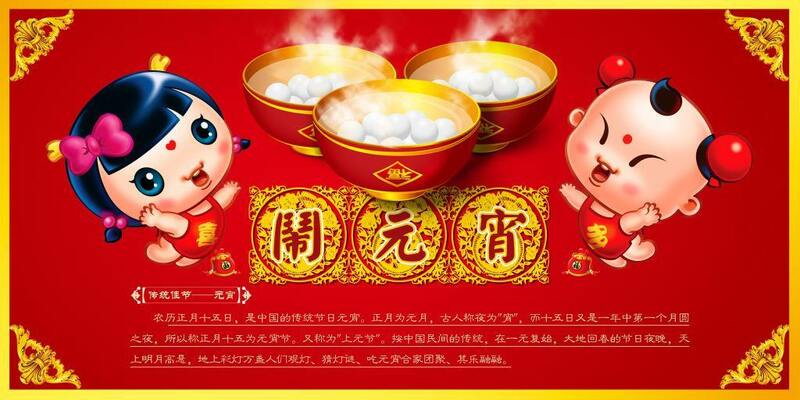 The Lantern Festival, also known as the Shangyuan Festival, Xiaozhengyue, Yuanxi or Lantern Festival, is the first important festival after the Spring Festival and one of the traditional festivals of the Chinese cultural circle and overseas Chinese. The lunar January is the first lunar month. The ancients called the night "night," so the first lunar January of the year, the fifteenth day, is called the Lantern Festival. The traditional custom to go out on the moon, lamp burning flame, hi guess riddles riddles, eat Lantern, pull the rabbit lights. In addition, many local Lantern Festival has also added traditional folk performances like playing dragon, lions, stilts, rowing boat, dancing Yang Tai, playing Taiping Drum.